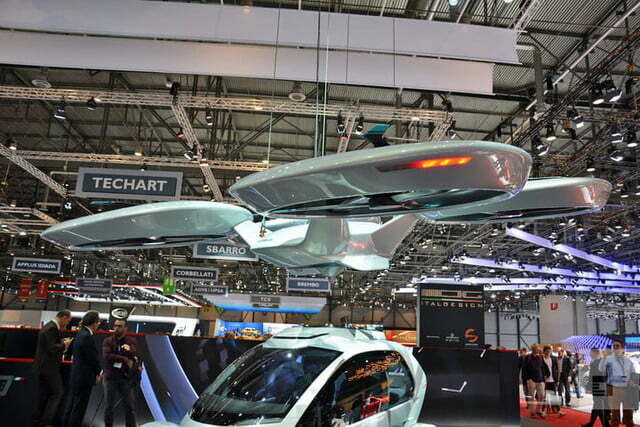 Every year, the Geneva Auto Show is full of surprises. 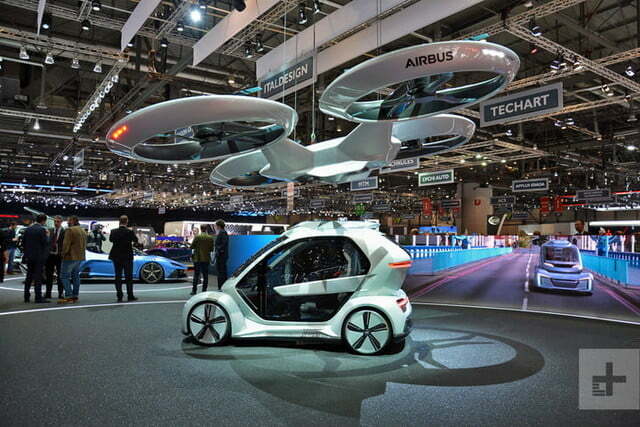 Airbus and Italian design house Italdesign joined forces to introduce a mobility concept named Pop.Up that drives and flies at last year’s edition of the event. 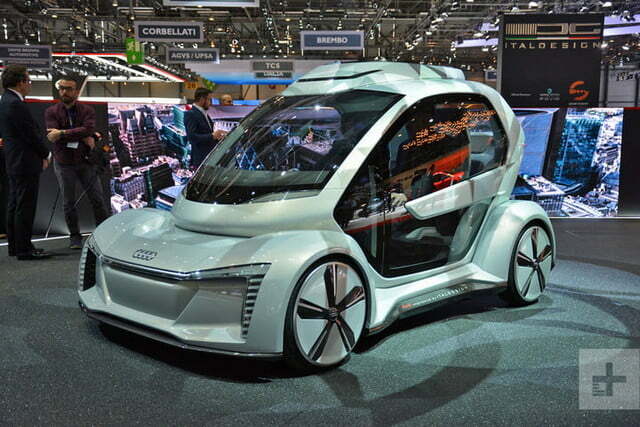 Audi recently entered the equation to contribute its knowledge in the fields of battery technology and automation. The team presented an updated prototype named Pop.Up Next at the 2018 Geneva show. Two main parts make up the Pop.Up Next. 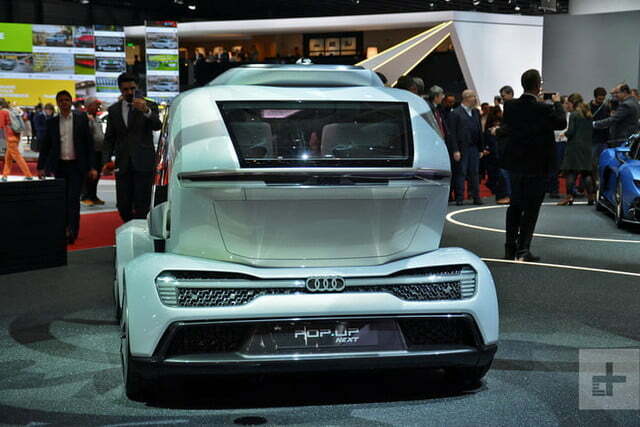 Called ground module, the first is a futuristic-looking city car with space for two passengers. 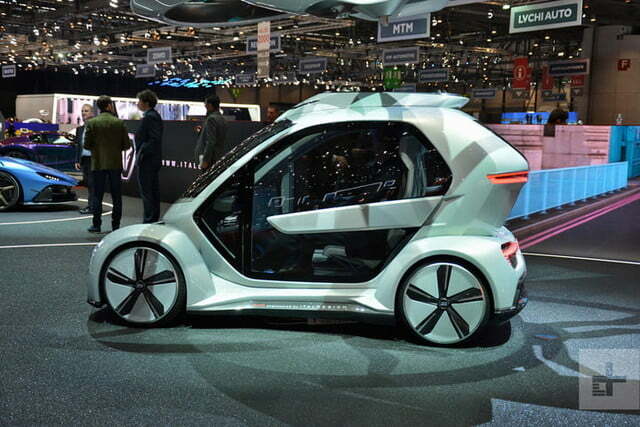 It’s about the same length as a smart fortwo but it weighs only 440 pounds. Airbus explained it managed to make the Next much lighter than the original Pop.Up by redesigning the seats and using lightweight materials like aluminum and titanium. Power comes from an electric motor that draws electricity from a 15kWh battery pack to provide up to 80 miles of range. That is not much, but engineers needed to keep the size of the battery pack down to make it as light as possible. The trade-off is that the battery can take a full charge in only 15 minutes. On the road, the Pop.Up has a top speed of about 60 mph. 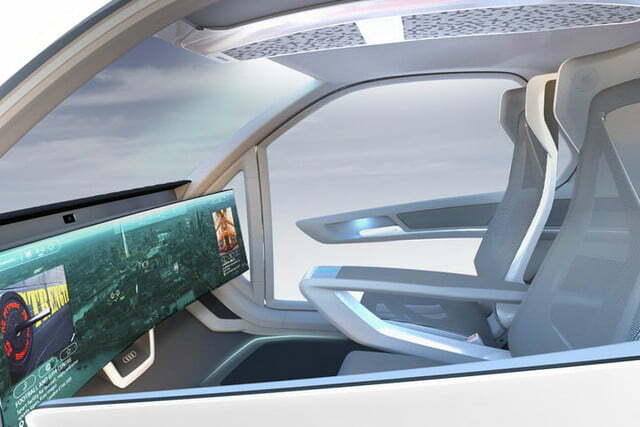 It’s equipped with state-of-the-art autonomous technology so the passengers can sit back, relax, and enjoy the ride. Taken on its own, it’s hardly a ground-breaking vehicle. 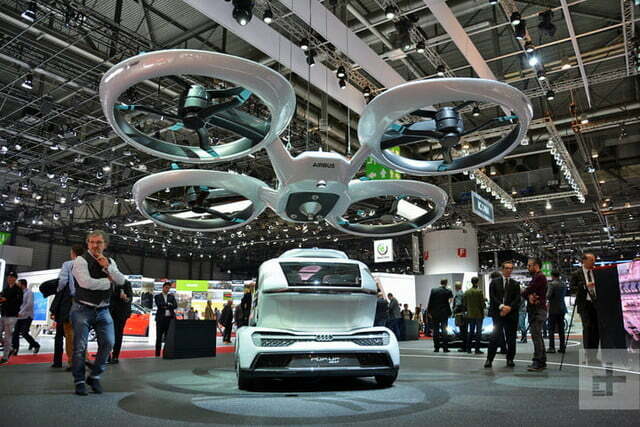 It becomes one when it leaves the ground thanks to the drone-like air module. Eight motor-driven propellers grouped into four clusters allow the air module to smoothly pick up the ground module and take off vertically like a helicopter. Sensors help the two parts align automatically. There are three coupling points and a central safety module. Self-rotating hooks help ensure the air module doesn’t drop its car in a lake mid-flight before gliding off into the horizon. The two passengers sit side by side, enjoying the view below through transparent doors and a large windshield. When that gets boring, or for passengers who are scared of heights, there is also a 49-inch screen that provides information about the flight, entertainment options, and connectivity functions. 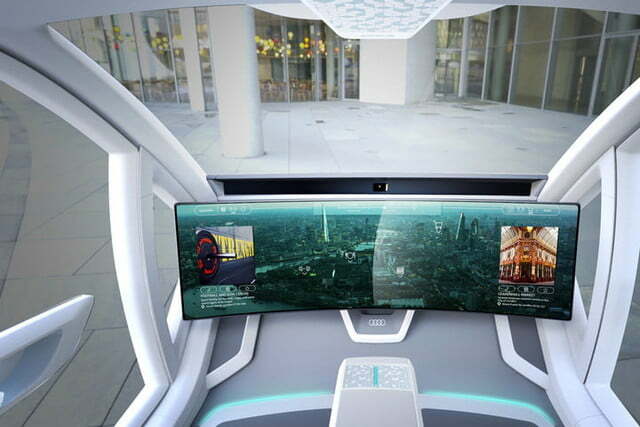 The passengers and the infotainment system interact with eye-tracking and facial- recognition technology. 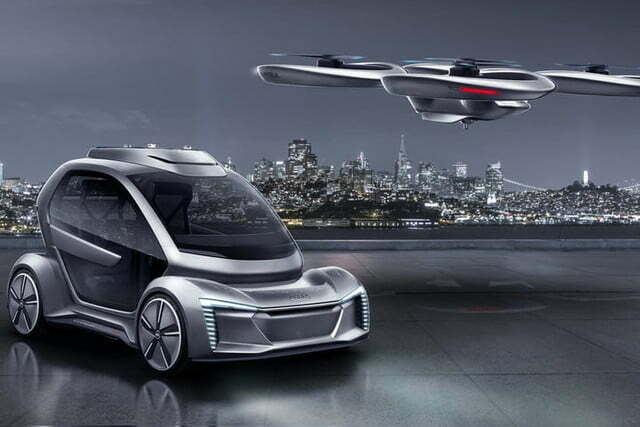 “Pop.Up Next is an ambitious vision that could permanently change our urban life in the future,” Bernd Martens, Audi’s board member for procurement and the president of Italdesign, said in a statement. The German firm also brings a dose of realism to the project. 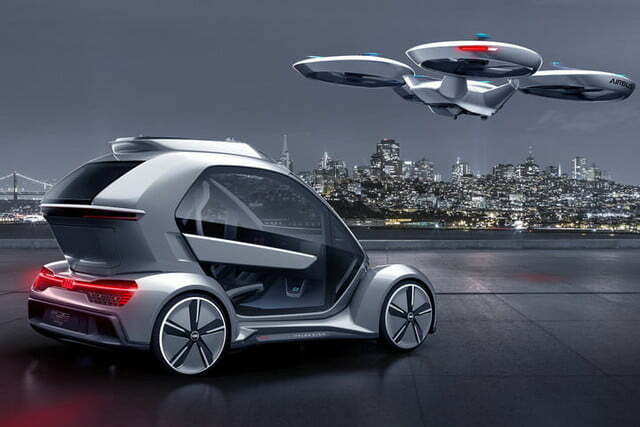 The Pop.Up Next is nothing short of awesome, and it could revolutionize the way we commute, but Audi realistically points out it’s a vision that can only become true in the distant future. Still, talks are already underway to find out what is involved in making a machine like the Pop.Up Next street-legal in key markets around the world.